Baby Renesmee. . Wallpaper and background images in the renesmee carlie cullen club tagged: twilight saga renesmee carlie cullen mackenzie foy. 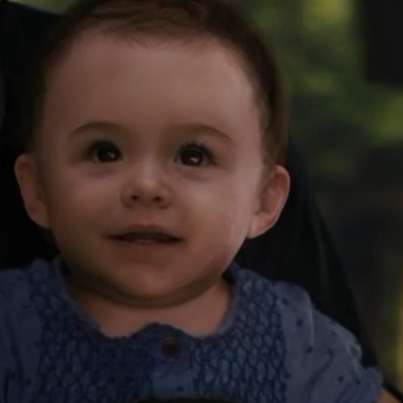 This renesmee carlie cullen photo might contain neonate, newborn, newborn infant, newborn baby, triciclo, trike, velocipede, velocípede, retrato, headshot, close up, and closeup.